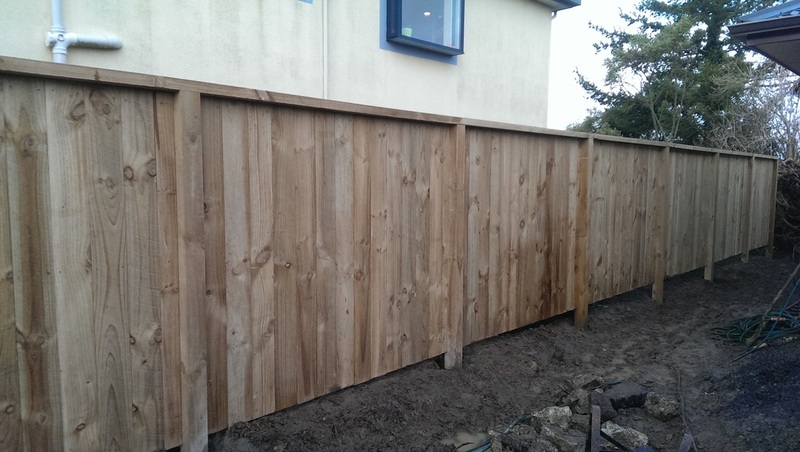 We are able to undertake simple pailing fences for the basic look or evolve the pailing fence into a much more attractive option depending on your budget and the desired end result. All Fencing Solutions are also able to build pailing fences in a paneled look that can give people sharing a boundary the option of sharing the good and bad side of the fence. Another option for timber fences is to run the timber in liner lines of varying thickness to create an interesting contrast. All Fencing Solutions can supply and install colour steel fence panels. The panel fencing option has become a large focus for residential fencing and has some really good benefits over other fencing options. Colour Panel fences are slim design and only need 65mm of room. This makes them ideal for boundaries, particularly for driveways. The other main benefit is the fact that both sides of the fence are the same for each neighbour. Other bonuses are the colour range available and the lack of maintenance needed for them. We can supply and install a range of alloy fence panels that are great for providing a barrier, but not greatly reducing the visual aspect and often work well used in conjunction with colour panel fencing to "infill" from the boundary to the house. Other good uses are for a child or pet barrier but not reducing light etc for a section of garden or around the top of a retaining wall. All Fencing Solutions can also build fences from corrugated zinc alum iron and colour steel iron. This can be installed vertically or horizontally. While dogs are mans best friend, they can often be a handful to contain in your yard. All Fencing Solutions can either repair existing fencing or erect a new fence to keep your mate in. This can either be through building one of the options above or in some instances where a section backs onto a bush area or the likes, a simple chain link option may be most cost effective. It is a little less flashy but in some sections it can be blended into the background and have a low visual impact. Post and Rail fencing is a cross over between residential and rural fencing. It is maybe not suitable for the true town section, but can make a farm-let drive or road front look stunning. All Fencing Solutions can supply different options depending on requirements and we can even integrate it into a fully stock proof fence. There are times when only a top rail is needed to make all the difference.